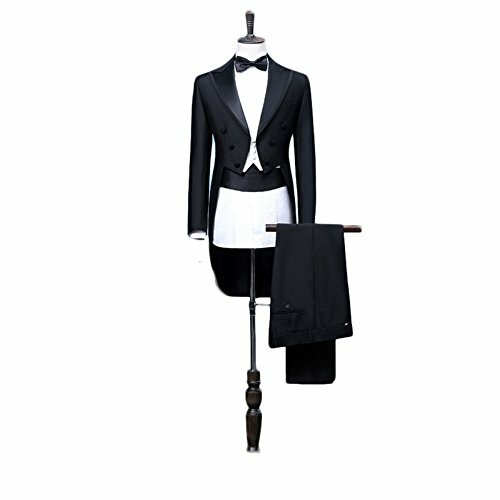 High quality 3 pieces mens tailcoat tuxedo,including jacket vest pants and tie,nice choice for wedding party or prom party occasion, please choose the size refer the below measurements. The most important, please choose the size from our own size chart.if you have any doubts about the size, please refer the information in the product description. Suits including jacket vest pants and tie.